Happy almost April! April means it’s almost May which means it’s almost race month, amiright? Okay, I may be getting ahead of myself. But when I looked at my week’s training and saw that I was already at 8 miles (which is almost 9 which is almost 10…) I couldn’t believe I was already there. The Cleveland half marathon will be here before we all know it. This week went pretty well in terms of training. I even got in a 3 mile stroller run on one of our warm days with FW. It was our first stroller run in FOREVER and it was hard! I am not used to pushing 30+ pounds. And a highlight? Besides the stroller run, my 8 miler on Friday morning (which I ran at 5:30 a.m. in the 40 degree rainy weather – ick!) was my longest run since LM was born! It wasn’t quite the pace I hope to be at for race day, but I’m slowly getting back into it. For those of you that wear a Garmin or fitness watch – do you ever resist it so you can break / start new records? I reset mine after LM was born! Do you do speed training outside or inside? Some weekends are busy. Jam packed, with tons of fun activities, but barely any time to sit back and relax. Other weekends are uneventful – not much planned, but plenty of time to hang out with family, friends, and get stuff done. Last weekend was the former – but this weekend? This weekend was the latter. Not too much planned, so we filled it with good fun, running and some fun activities. The good food started Friday night. We go meatless on Fridays during Lent, and this Friday B made jackfruit tacos al pastor. They were SO good and definitely brought me back to our days in Mexico City! Saturday morning, after breakfast, I got in my long run for the week. I’m training for the Cleveland half marathon and had 7 miles on the schedule. Afterwards, FW and I baked some muffins. We continued the good food theme with homemade pizza for dinner. Sunday morning started with a new tradition we started last year- visiting the Burton, Ohio fire department for an all-you-can-eat pancake breakfast with local maple syrup. This year was fun, as both kids got to enjoy pancakes. We finished the weekend at B’s parents’ house for dinner. LM started feeling unwell, so hopefully she is better again soon. She has been sick on and off since January, and I don’t know how much more I can take! Can we just build a bubble to keep our kids safe and healthy? Have you been sick lately? I can’t believe it’s less than 60 days to the Cleveland half marathon … that means I’m 25% through with my training! It hardly feels like the race is so soon – perhaps because it still felt like winter this week? For my long run this week, it was in the 20s when I started … and “feels like” was 17! I’m used to that in December, but at the end of March. I felt pretty good during my long run Saturday, but can’t imagine going any faster or further yet. We will see how next week goes. Hopefully I won’t have to break out my winter running socks again. Is it spring near you yet? Do you wear special socks in the winter? Before we went on our first road trip with my now toddler, I asked one of my friends if she had any tips. She replied, “Expect it to be awful and throw all your fond road trip memories out the window.” Is that harsh? Yes. But it makes a point. Long trips with two young kids are not easy. They’re not relaxing. But they don’t have to be awful; just manage your epectations and be prepared (see below). CDs – we like to go to our local library before a trip and pick out kid-friendly CDs to listen to. Our toddler gets a kick out of picking them out and then choosing them during the car trip. Books – I like to bring 3-4 and let my toddler pick out 1-2 himself. This one, Let’s Play, is a good one that is interactive. Post-it notes – they can stick them places and then you can clean up easily. They can color on them with aforementioned crayons. They can stick them together to make shapes. For the baby, we brought things like baby books, rattles, blankets, and toys that lit up and made noise. Bring plenty of snacks and food for the trip. In addition to meals, plan easy-to-eat and less-mess snacks for the car or any stops. Bonus points if the snacks are new or not part of your usual repertoire. Some of our favorites include Annie’s fruit snacks, pouches, yogurt covered raisins, Annie’s cheddar bunnies, Barbara’s Puffins cereal, grapes, sliced pear, grilled cheese cut up into fun shapes. Don’t go into the car trip with a rigid plan. Will you sit in the front or in the back with the kids? Be prepared to do either. Will you stop exactly two times for one hour each and make it to your final destination in exactly nine hours? Maybe not (what if the baby has a blowout after your 2nd stop?). Will your kids nap at their usual naptime? Possibly. It’s okay (and probably a good idea) to make a plan before you get into the car, but just be prepared to throw it out the window or adapt if needed. If you don’t have a hard timeline (see above tip: be flexible), plan a few fun stops along the way. For an eight-hour car trip, it’s nice to plan one or two stops where our toddler can run around and use up some energy. For us, this has meant finding a park that is not far off the route (bonus points if there’s a playground) and near some kid-friendly restaurants so that we can stop, grab a bite to eat and then run around and play. Yes, this takes time, but it makes the trip much more fun for our toddler. We have only done this once and it was the best. After about one hour of crying and whining, the kids slept for almost the whole ride. Getting them back to bed once we got to our final destination wasn’t easy, but it made for a quiet and hassle-free car ride. Sometimes all the toys, snacks and stops are not enough. That’s when it’s time for your secret weapon. For our baby, this can mean a few extra toys that light up or play music. For the toddler, this means toys that aren’t used on a regular basis, such as his toy laptop and my iPad with Sesame Street or other kids’ TV downloaded on it. We don’t always have to bring these out, but they have definitely helped make the trips easier. What’s the longest you’ve ever traveled in the car with kids? What age do you find easiest to travel with kids? 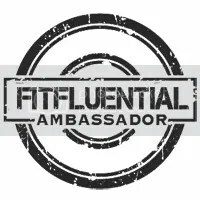 Note- this post contains a few affiliate links. And aversion of this post originally appeared on Northeast Ohio Parent Magazine’s website. It was a busy, busy weekend for us- it reminded me of our weekends before we had kids when we just packed it all in. We had 2 birthday celebrations, brunch and more. Friday started out with a work of Saint Patrick’s day party. We play the game with lucky charms and sadly I did not win. Fridays during Lent mean no meat. B was originally going to make some veggie tacos, but we didn’t have any of the ingredients (whoops!) so we ordered takeout. Sushi is pretty much my favorite. Saturday morning I had either a 5k on the schedule or 7 miles – I opted to do 7 miles and I’m glad I did. It was hard – I haven’t run that much since before LM was born and more than a year ago, but I was happy to have finished it. Saturday afternoon, we celebrated B’s mom’s birthday. We started with some fun at an escape room. And then, it was off to shuffleboard. FW had fun hanging out with his cousins. FW had fun until he took a spill. He split his lip in a few places and it was a little traumatic for all involved. Sunday morning started with St. Patrick’s Day brunch! B invited over some friends for some traditional Irish food. This meant eggs, soda bread, potatoes and lots of meats. FW had fun playing with Celia. That afternoon, FW had a birthday party to go to. He and LM were celebrating Clara’s 3rd birthday. FW had a blast running and jumping around in the gym. Sunday night, we didn’t have dinner at B’s parents’ house since we had spent half the day with them Saturday. So, we did some meal prep and even made meatballs and sauce – FW was a great helper! It was a fun but busy weekend – I’m glad we did so much but I’m also hopeful to relax a bit next weekend! Are you a Lucky Charms fan? I’ll start this post by confessing that while I didn’t follow this week’s training 100%, I did get in 5 runs, includimg a long run. So for week 3 of Cleveland half marathon training, it wasn’t bad. I was so excited to have THREE outdoor runs, including 1 done in the evening! I somehow got home before B and the kids on Thursday, so I prepped some dinner and then got outside for a short run before we ate. I can’t imagine doing this on a regular basis, but it was fun! I was also excited about my long run this weekend. I haven’t run this long since before LM was born and probably since I was last training for a half – so it’s been about 2 years! What’s the longest run you’ve done recently? Do you have favorite running socks? And now, week two of Cleveland half marathon training is done. This week, I was only sick a few days, which helped a TON. My eye infection healed, but then LM came down with a fever and likely HFM (along with teething), which is making sleep fun. I also was away for the weekend, which made the schedule change a bit – I did my long run on Friday and then got in an impromptu run on Saturday. Saturday’s run included some great views – look at the frozen lake! It was also the first run I’ve had outside in forever so any views would’ve been great. This week’s Tuesday Topic is are you a morning runner or an evening runner? I sleep in my running clothes when I can. Maybe it’s gross, but it makes it so much easier to get out and run! And when I don’t, I make sure my clothes are set out and ready to go. I figure out my running route and plan before I go to bed. I don’t want to have to think in the morning. I set multiple alarms. I don’t always wake up with one alarm. Do you run on vacation? 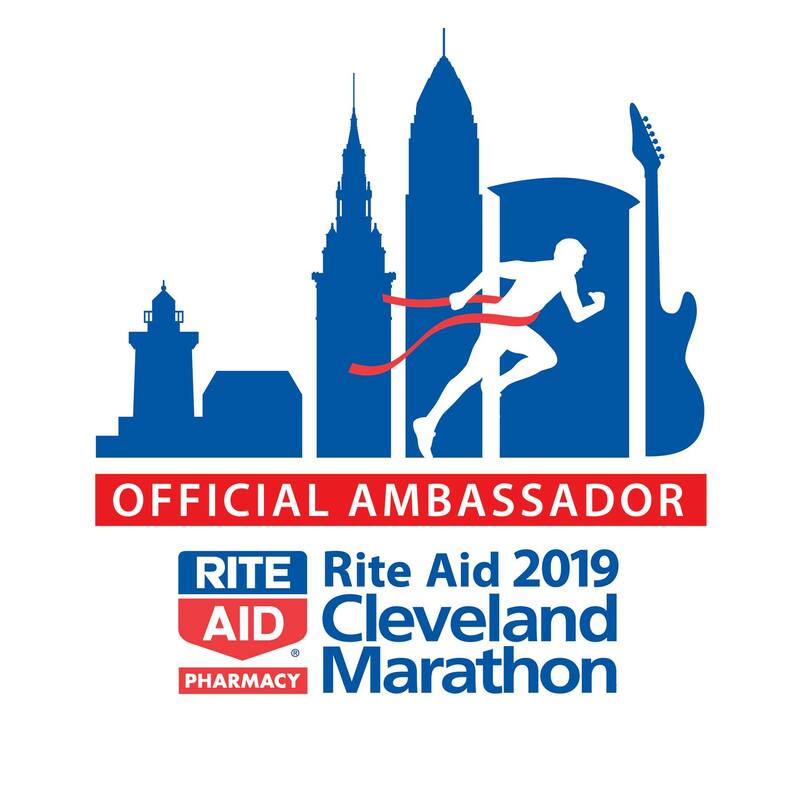 Note: I am a Cleveland marathon ambassador! That means I get free race entry for me, and a free race entry to giveaway. Wanna run CLE with me? Don’t forget, I have a 10% discount for you! Linking up with Tuesday Topics!